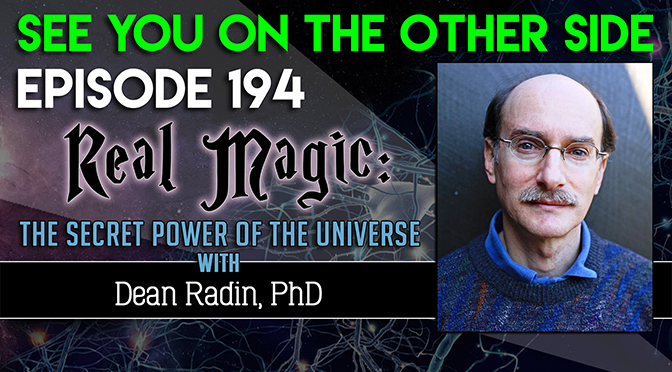 When it comes to psi research and bravely holding the torch against the encroaching darkness of materialism, Dean Radin, PhD is the man who has stood at the forefront. His work as a scientist researching psychic phenomena in the lab while being a spokesperson for approaching psychic phenomena from a scientific perspective is inspiring. Since 2001, he has been the chief scientist at the Institute of Noetic Sciences (founded by Dr. Edgar Mitchell, who we profiled when he passed away in 2016.) 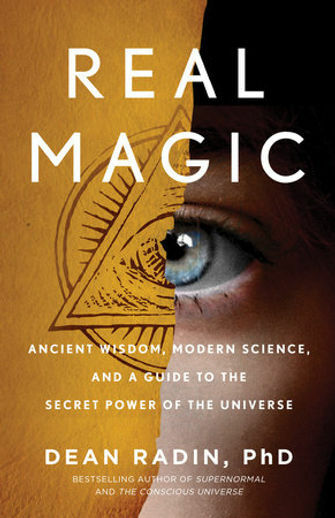 His latest book is Real Magic: Ancient Wisdom, Modern Science, and a Guide to the Secret Power of the Universe deserves a spot in your library because it shows how magic might actually work. The Audible version of Dean’s new book, Real Magic is narrated by the same guy that does the Dan Brown novels, so it’s about as exciting as non-fiction gets! 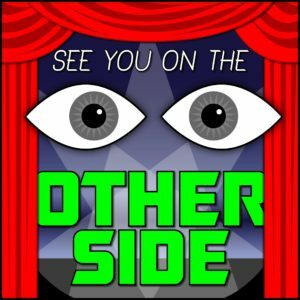 In this interview, Allison from Milwaukee Ghosts and I cover these topics with Dean and if you’re interested in any of the following, then you’re going to go bananas about our conversation. What is the best scientific evidence proving psychic powers like psychokinesis and telepathy? What is the gnosis state and how do you get there? How can people use magic in their everyday life? What level of data do you think is needed to prove psi to the mainstream scientific community? One of the most interesting things in our conversation that I found was the discussion of how fragile belief can be. As Dean says when he talks about keeping your magic to yourself, “Just an arched eyebrow can ruin it”. In a world where nothing feels sacred anymore, we have to create that sense of sanctity on our own, free from ridicule. I mean that’s why religions have heresy and have punished it so severely, because they want to create that sense of sanctity and make it so important that you fear breaking it. What does it mean for things to be sacred and how can we create that in our lives? That’s the idea behind this week’s song, that just saying some words and just going through the motions isn’t going to cut it. You need to believe, you need to have a sense of the sacred, no matter what it is. You need more than just “Magic Words”. if you don’t trust your mind. 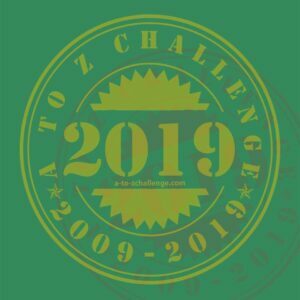 really am enjoying this – great interview….